"I highly recommend Flynn Law Group to any property management company." Flynn Law Group is an award-winning team of seasoned property attorneys specializing in residential and commercial landlord-tenant law. 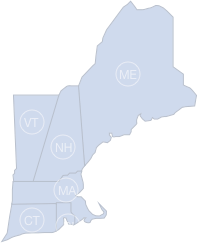 Throughout New England, we build trusting relationships with our clients by providing fair-cost representation and getting results—both in and outside the courtroom. Flynn Law Group has a proven track record in residential landlord-tenant law, representing owners, landlords and site managers. Flynn Law Group’s property attorneys are noted specialists in condominium law, representing associations, boards, trustees and unit owners. Flynn Law Group has a successful history of representing commercial property owners, commercial tenants and commercial management companies.